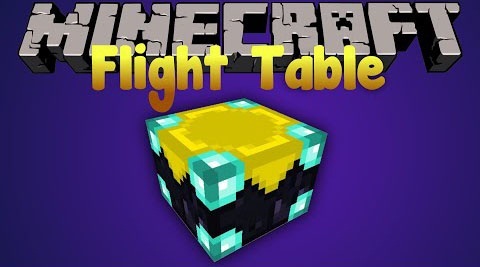 With Flight Table Mod, a table consumes different kinds of fuel to grant creative-like flying capabilities in a specified range. Moreover, this mod introduces a machine which makes you fly like in a creative mode. If the table receives a redstone signal, it is turned off. If you leave the range while flying you will receive no fall damage.